Chickens Can’t Fly is in “Best of 2012”! 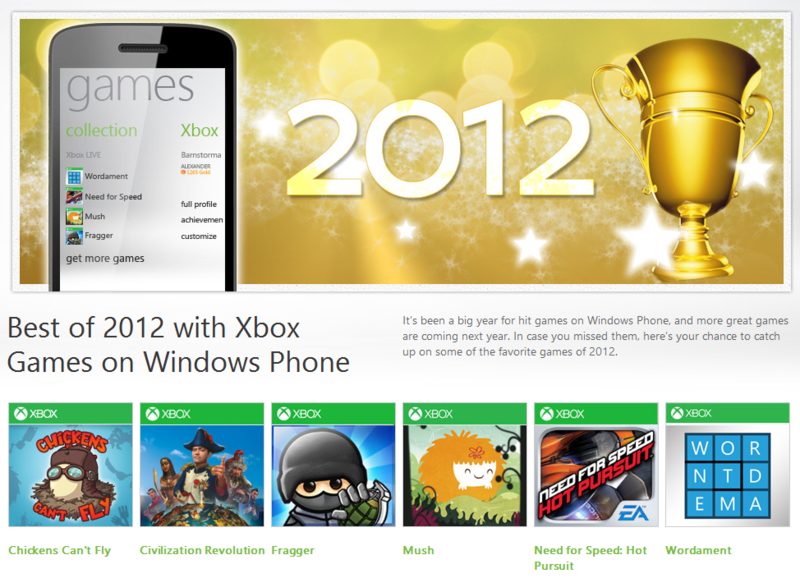 There’s a list of Best of 2012 with Xbox Games on Windows Phone up on Xbox.com, and I’m really happy to say that Chickens Can’t Fly is one of them! Tagged: Chickens Can't Fly, Happy!, Xbox.com, Yay! What’s Happening i’m new to this, I stumbled upon this I’ve found It positively helpful and it has aided me out loads. I hope to contribute & aid different users like its helped me. Good job.